Self confessed poetry/spoken word philistine, Eusebius McKaiser was touched on[in] his studio by WordNSound CEO- Thabiso Afurakan Mohare and The Reining Queen of the WNS Open Mic League- Mandi Poefficient Vundla when they invaded his Power987 Studio on Wednesday for his week WORD! Feature. THE ART OF DOING BUSINESS…IN THE ARTS! 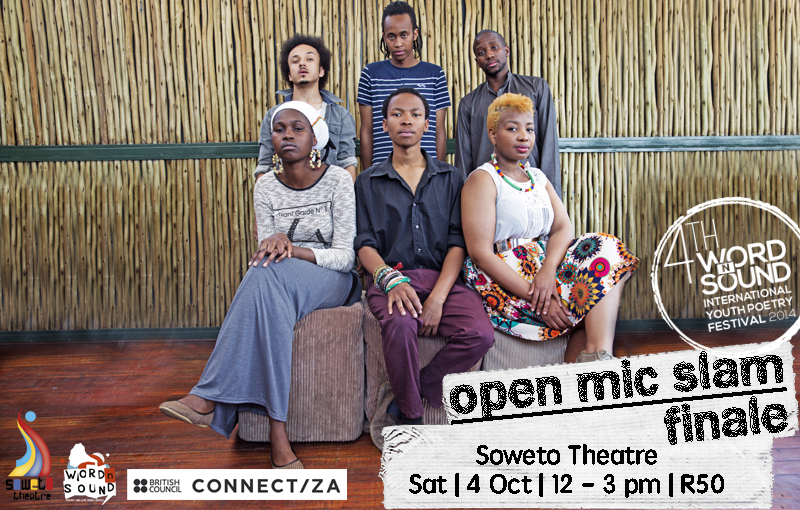 Join us from 3-8 October 2014 for the 2014 Word N Sound International Youth Poetry Festival, in collaboration with our partners Connect ZA and Soweto Theatre. Not only will we be crowning a Queen/King of the Mic, celebrating another year of producing Spoken Word engagements, but we will also be launching the next chapter in the WNS saga. The Word N Sound Live Literature company is proud to present Poetic Act, a Spoken Word Artist Booking Agency. The launch of this company marks another in a series of “firsts” for Word N Sound, as this is the first booking agency tailored for the needs of Spoken Word artists. True to Word N Sound’s game changing nature, Poetic Act aims to increase the visibility of Spoken Word Artists in South Africa, while practicing and teaching business elements that are necessary to move this kind of art from hobby to career. This multi-phase strategy will see the launch of a Digital Store dedicated to the merchandising of Poetry/Spoken Word material, from audio visual content, to e-books etc; to follow toward the end of the year. With the vision of a vibrant and economically sustainable industry, Word N Sound has gone from conceptualizing and promoting one showcase platform per month in 2010, to being the creators and producers of a Weekly Open-Mic Platform, 2 Monthly Showcase Platforms, SLAM FOR YOUR LIFE at the Grahamstown National Arts Festival, and 3 Annual Spoken Word Festivals. Recent studies value the South African Literary Industry at roughly R5bn and the South African Music Industry to be worth R2.09bn annually. The Word N Sound Live Literature Company is positioning itself in these two industries to forge a niche that makes artistic and financial sense. So, what does it take to bring a vision from concept to realization? It’s one thing to have an idea around art, but how do you make it profitable? And more importantly, how do you make it sustainable? It was in answering these questions, and the reality that Spoken Word Artists have to contend with paltry payments, that the Word N Sound Live Literature Company was established 4 years ago. The idea was to create revenue stream opportunities for Poets/Spoken Word Artists in an industry that undervalues the contribution of the Art form economically, intellectually and otherwise. Despondent from the many tales of poets’ manuscripts being rejected by publishers because of a perceived lack of market for poetry, Word N Sound set out not only to show and prove that there is a market, but to start formalizing an Industry. 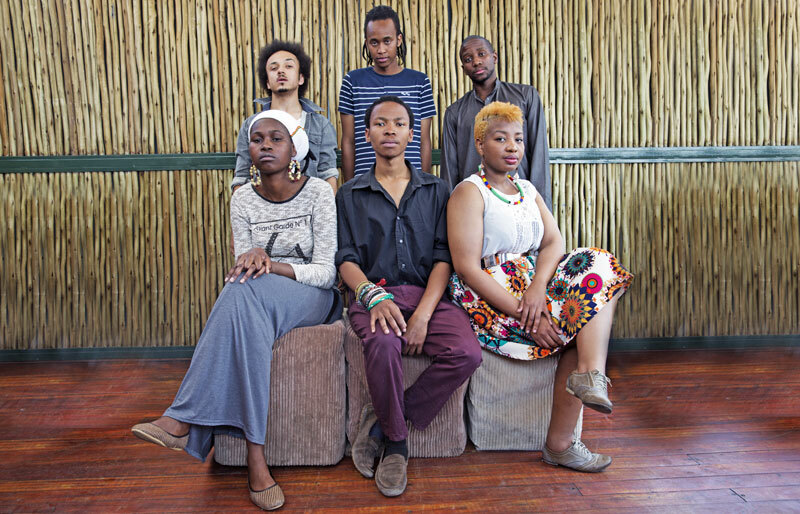 As part of South Africa’s multi-billion Rand Creative and Cultural Industries, the Word N Sound Live Literature Company has set out to make an indelible mark on the sector through the promotion and marketing of the Spoken Word sub-genre. The Word N Sound Series [est. 2010] – a monthly Spoken Word Showcase event that has been running successfully since 2012 and has become the home of the WNS Open-Mic League Slam; Episode 1 of the first Season of the Series opened as World Cup Fever was sweeping through the nation and only attracted 5 audience members. Today it is the premier Monthly Spoken Word Platform in the City of Johannesburg, often having to turn away audiences when the venue reaches capacity. Word N Sound International Youth Festival [est. 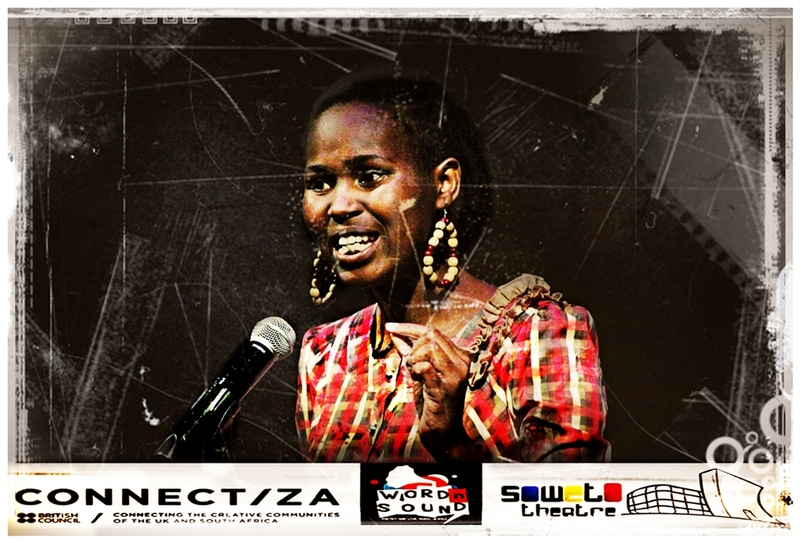 2010] – an annual celebration of the Spoken Word Youth Sub Culture bringing in acts from all over the world. Workshops Day: Facilitated by Lebo Mashile, Dean Atta, Khosi Xaba TJ Dema and featuring local and international poets and literature practitioners. The workshop sessions will focus on three main themes which are; Africa Unpublished, Branding Spoken Word and Poetry As Social Conscious. The second half of this day will also feature “A Live Literature Company”. A multimedia performance by the Word N Sound company members who balance the difficult task of balancing being arts entrepreneurs and renowned poets. The 2 hour production features Afurakan, Mutle Mothibe, Andrew Manyika (Zimbabwe), Conelius Jones, Mandi Poefficient Vundla, Masai Dabula, Mutinta Bbenkele (Zambiaa), Elysium Garcia, Xongani Maluleka, Bonga Ndziweni; Lwazi Mthembu, Mpho Khosi and hosted by literary critic and Poet Ayob Vania. Poetry Is. Showcase performances by local and international poets featuring Lebo Mashile, Buddy Wakefield (US), Dean Atta (UK), TJ Dema (Botswana), Andrew Manyika (Zimbabwe), Makhosazana Xaba and Koleka Putuma. The 4th Annual Word N Sound International Youth Poetry + Live Music Festival is brought to you in partnership with: Soweto Theatres and British Council Connect ZA and forms part of the SA-UK Seasons 2014 & 2015 which is a partnership between the Department of Arts & Culture, South Africa and the British Council. And in this corner… Introducing the Top 6 Contenders for the crown! 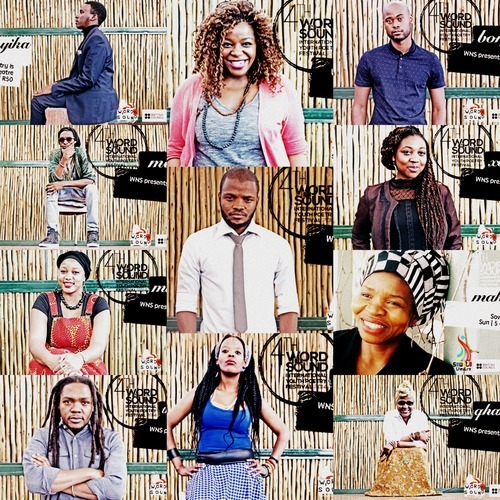 Ahead of the 4th annual Word N Sound International Youth Poetry Festival, we sent our members of our content team into the training camps of the Top 6 Contenders for the coveted 2014 Open Mic Champion title. Our mission was to see who would rattle who between our fearless contributors and these warriors while trying to find out more about them. Before we profile each of them we decided to tease you a bit. Accordingly we asked Kgotatso Maditse [the newest member of our content team] to put together an introductory package, so let’s find out why these Contenders think they should win, and what they will be bringing to the stage. Nothando Nelisiwe Buthelezi is a writer and poet. She writes poetry, scripts, music and plays. Thando turns to writing to vent frustrations and bring healing not only to herself but also to others. In her own words, she writes for “the rural ones who write in Zulu and don’t have a formal way of writing”. If she wasn’t a writer though, Thando says she wouldn’t mind being a cyclist because of her love of bicycles. Props must be given to her for writing in Zulu. Poems like uThembeka have literally brought tears to Word N Sound audience eyes, but she admits that it doesn’t come as easily as it sounds. 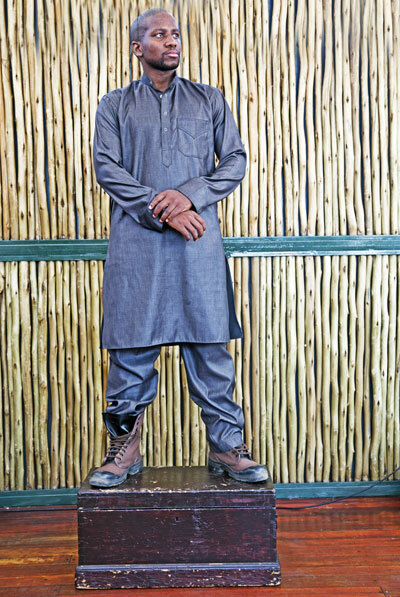 Theatre director and actor Nkosinathi Gaar says he’s been trying to get to the top for a while, and finally, he is here. This multi-talented and multi-lingual, young man speaks three languages fluently [one being German], and also plays the guitar, and bass, and is a competent songwriter. A consummate lover of words and ideas and “how they come together”, Nkosinathi admits he feels compelled to write because it is important to, “anchor down experiences and emotion and try to give them voice. Writing has the capacity to change things, which I think is important”. One cannot miss his animated face and general mannerism, but this is not an alter ego, rather different aspects of himself. When he is not blowing peoples’ minds away, Xabiso Vili is running events, as well as writing and performance workshops in Pretoria, and the greater GP, in hopes of building a strong portfolio for him to study drama therapy. Xabiso has a deep passion for art and its remedies and says he writes to make sense of himself and his inner workings, of society and how he relates to society and vice versa. He believes art is a powerful medium which is important to “better not only ourselves, but our communities. Art has the capacity to do that”. Oh, and he’s not fond of losing. Once upon a time, there was a graffiti artist that would write “(No)body (LI)ves (F)or(E)ever, which then got shortened to NoLIFE. A lover of hip-hop, poet and rapper Carlos NoLIFE Ncube, also known as Snooty Esoteric, is back in the top 5. Well, 6 this time. Some of his poems have a tone that can easily be read as anger, but NoLIFE says that’s just how his passion translates. 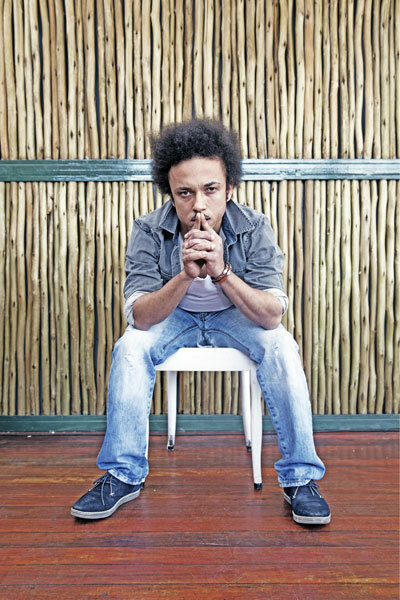 A self-professed minimalist, NoLIFE says that all he is bringing to the stage is all his words and passion. After a 7 year hiatus from the stage, poet Bafentse Ntlokoa, says she wasn’t even competing when performing on the Word N Sound stage earlier this year, she was just performing. Some of her poems, like “Beautiful Like A Gaping Wound”, sound like odes; like she is in awe of her subject. Zewande Bhengue, also known as #Mcmora, was a finalist in the Slam For Your Life National Poetry Slam earlier this year, and now, is a contender for the Open Mic Champion title. Zewande takes performance poetry to a whole new level, so he brings along his words, sounds, theatre (even chains and bare backs) to the stage. He is on a mission to bring something different and unique to the stage. Zewande wants to be remembered for his dedication to his art. The battle lines have clearly been drawn. One thing is for sure, each of these warrior is aware of their formidable opponents and the pressure is on. Now let the games begin! That being said, we are all dying to see what the Top 6 have in store for us. Oh, just in case you wanted to know, our hard-hitting contributors held their own during their encounters with the Top 6 Warriors, but the war is not over so that’s a story for another day. In Word and Sound we trust!